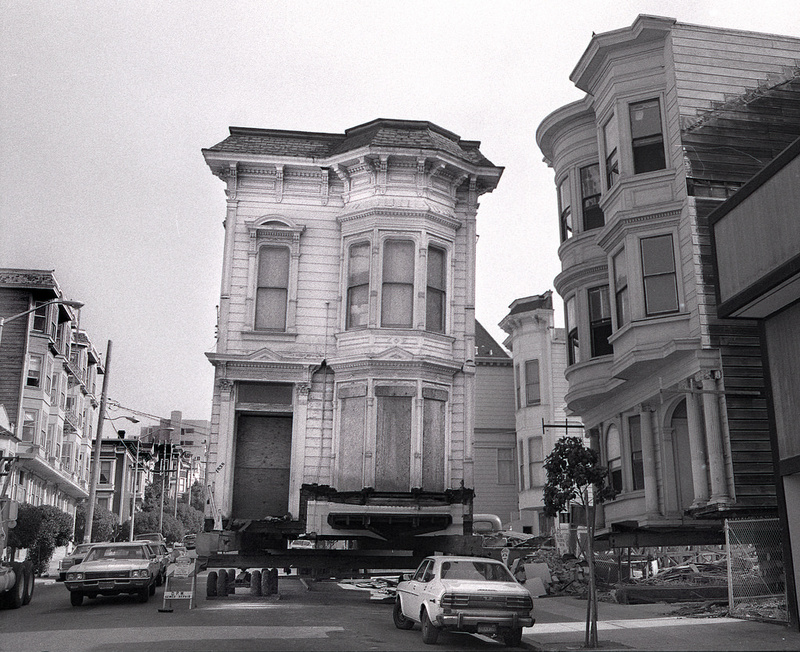 There was once a time when San Francisco’s Victorian architecture was not as highly respected and esteemed as it is today. 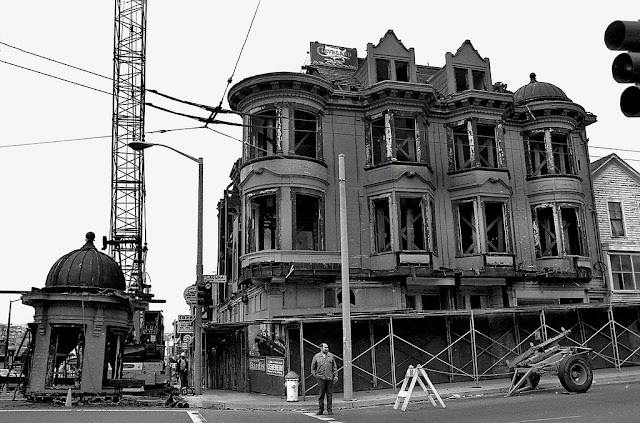 In the mid-1970s the San Francisco Redevelopment Agency stopped the wholesale destruction of venerable Victorian buildings. 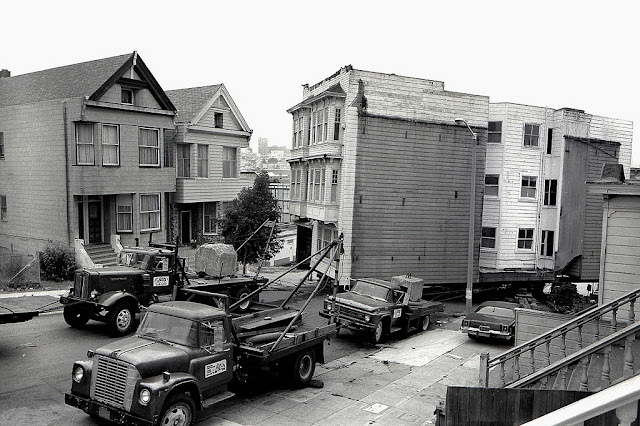 Instead, they picked them up and moved them around the neighborhood. 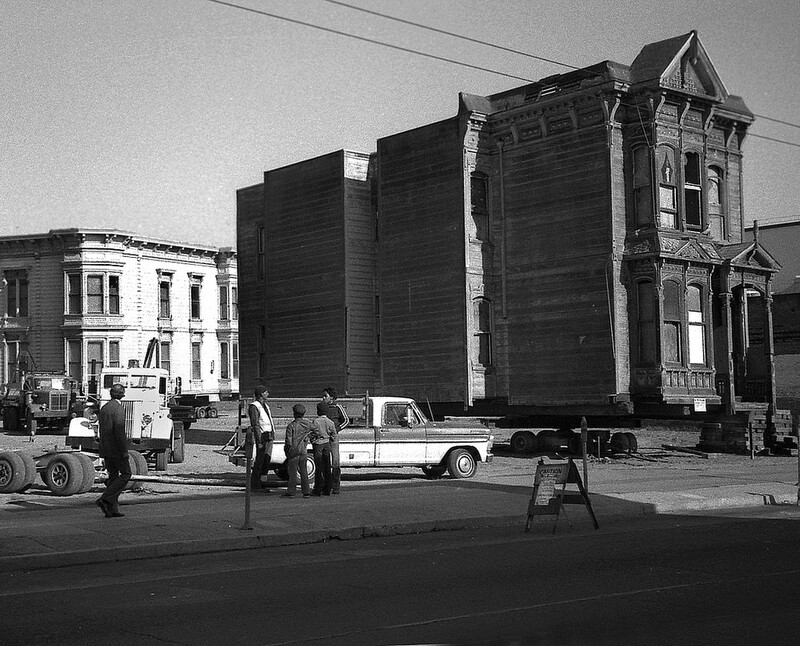 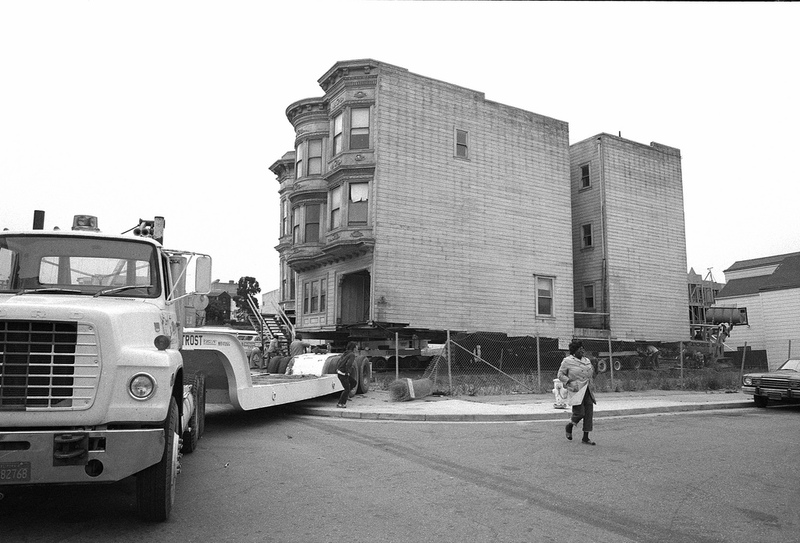 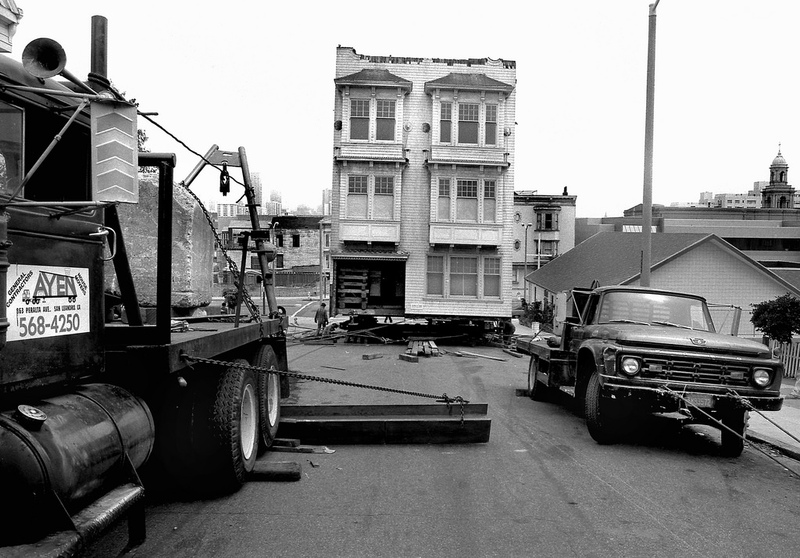 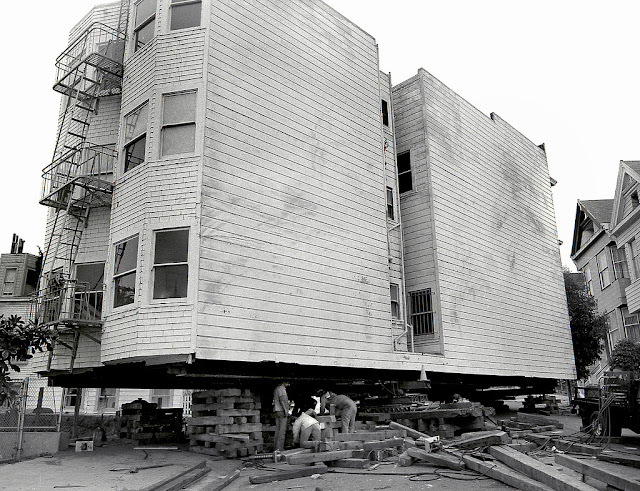 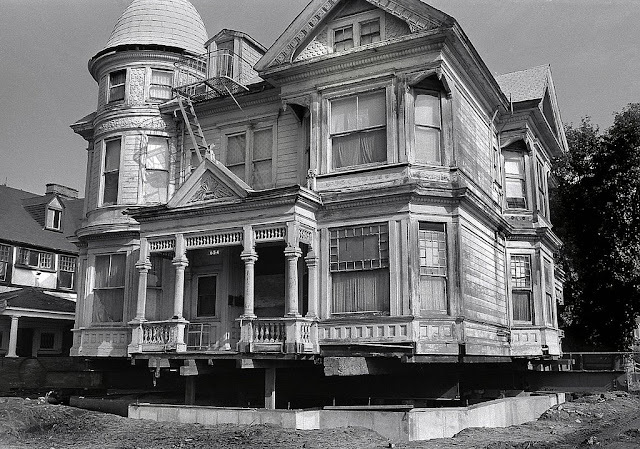 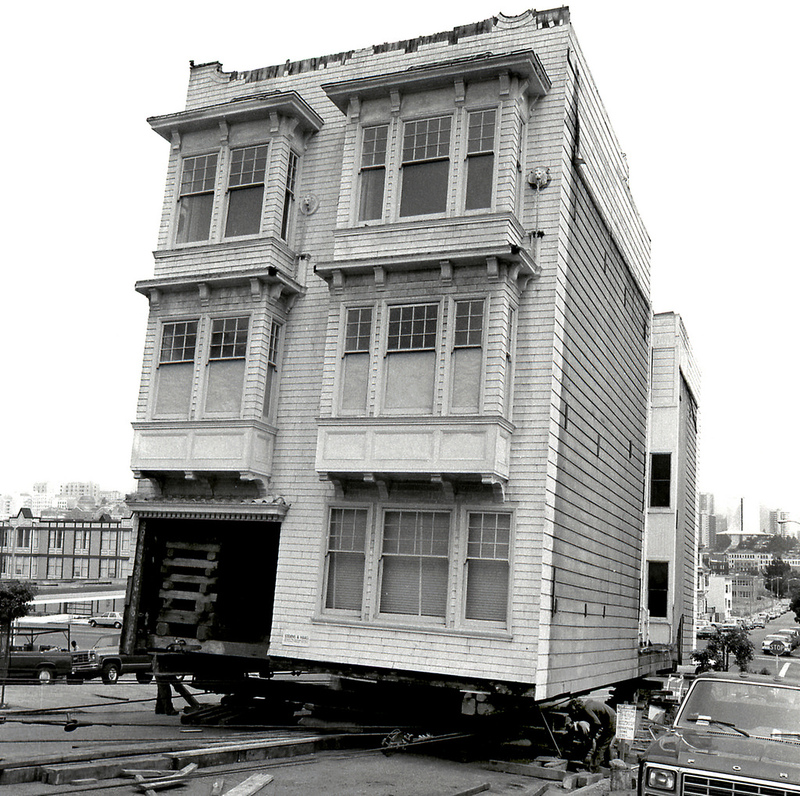 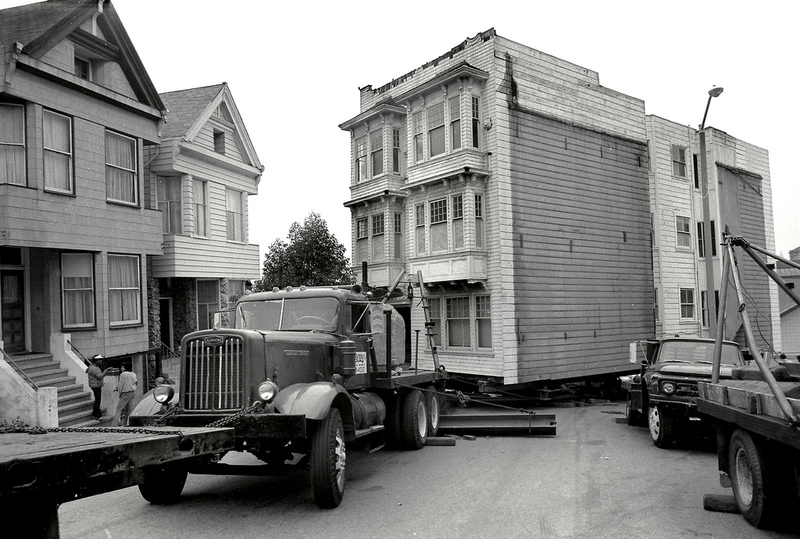 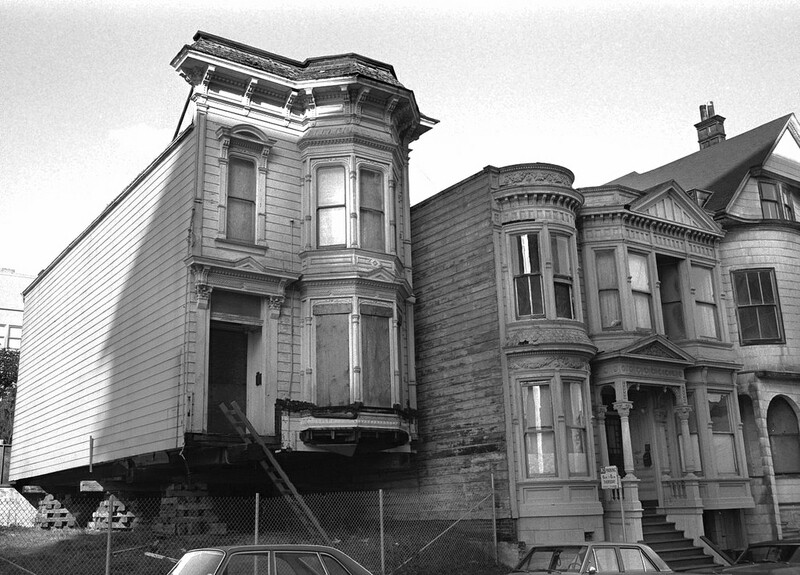 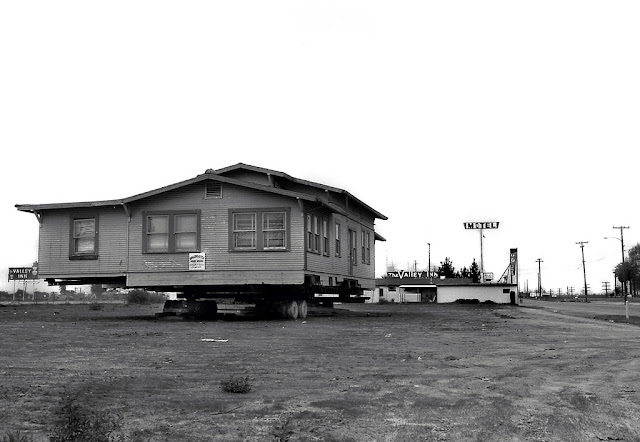 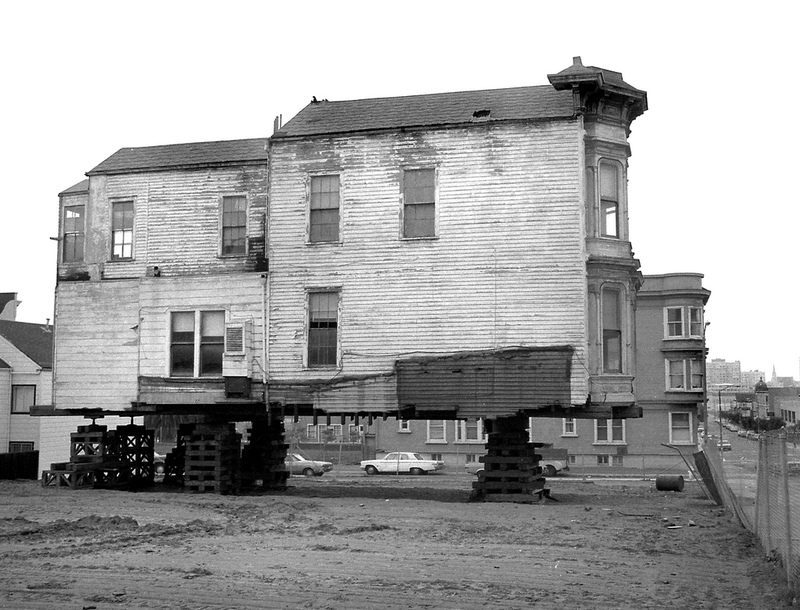 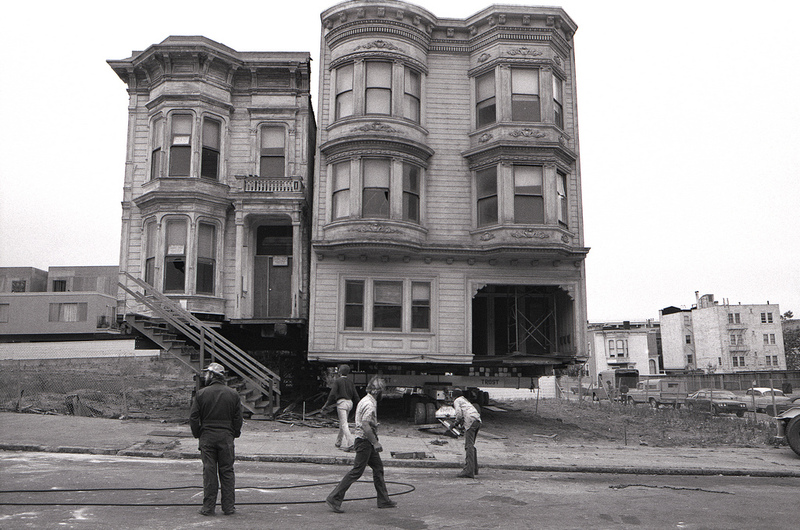 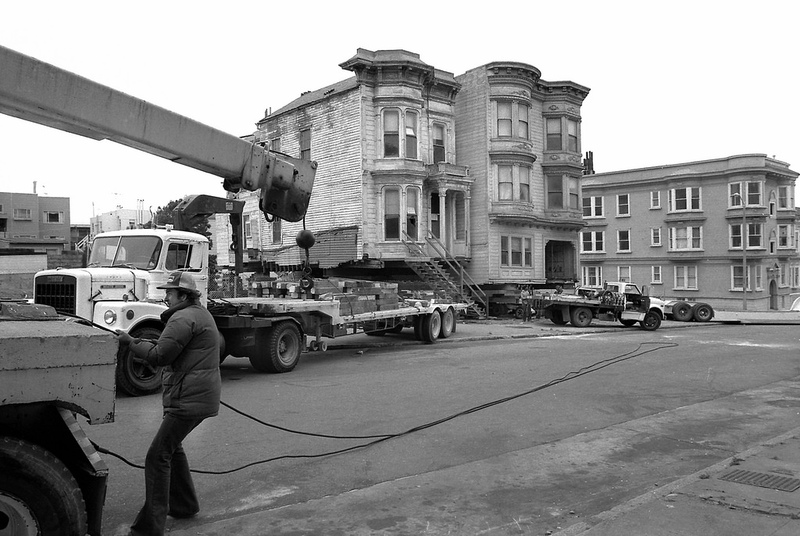 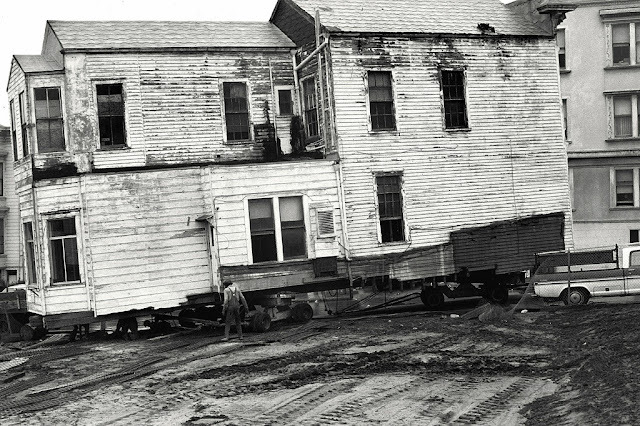 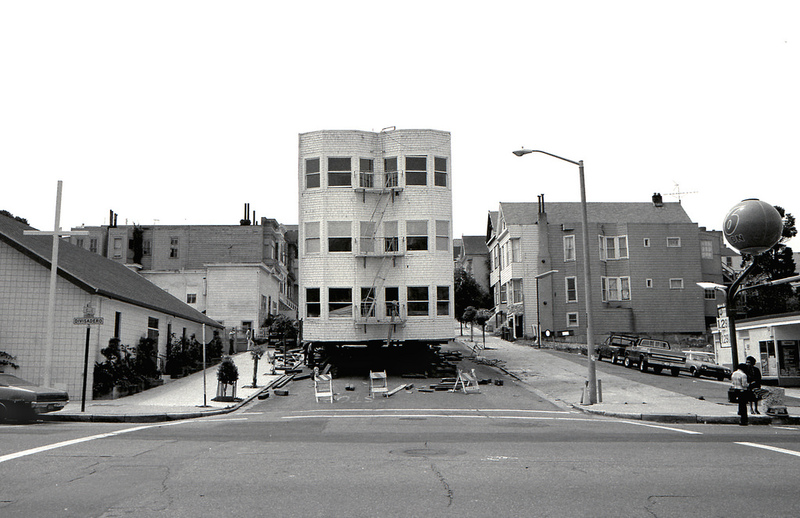 Photographer Dave Glass documented the relocation of several such homes in San Francisco in the mid-1970s. 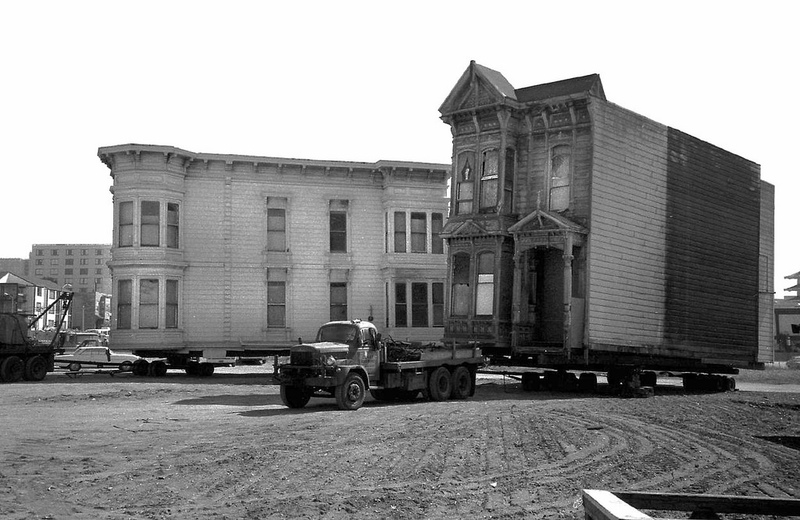 As part of an urban renewal effort, these 19th century homes in the Western Addition neighbourhood were moved. They were then sold for just $1 plus the cost of the relocation and renovations. 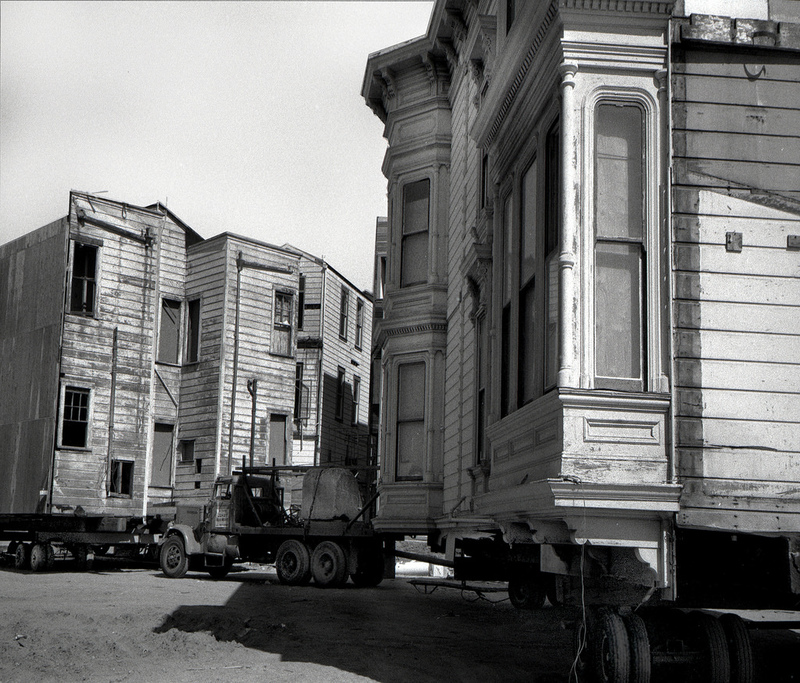 Glass shot these images for his House Movers, San Francisco series on black and white film. He is a native of San Francisco, and his photography portfolio demonstrates his interest in California history.